Creating trust and success within your organization requires teamwork. 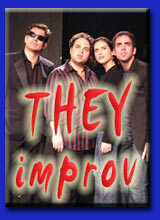 South Florida corporate team building workshops provided by THEY improv are enjoyable experiences for all. When people have fun, they are more receptive to information and more likely to actively participate. For the many companies in the area, the employees have a different background than employees of other organizations. In addition, they often come from different cultures, countries and backgrounds. Often the people even have different native languages. That's why South Florida corporate team building workshops need special custom-built structures to get these different people to work together. 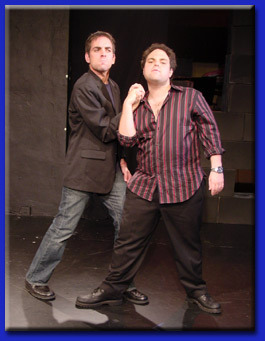 Being THEY improv professionals come from the business world. 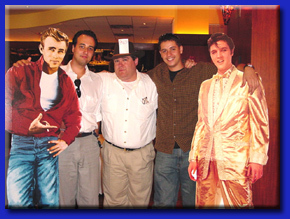 Our South Florida corporate team building workshops are designed with the true goals of business in mind. So what are these goals that have to be achieved for successful South Florida team building workshops? 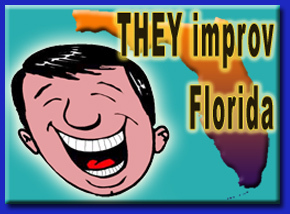 Skills promoted by South Florida team building workshops are especially important for companies in Miami, Fort Lauderdale, West Palm Beach, Boca Raton, Weston and elsewhere throughout the area. The unique nature of Miami-Dade, Broward and Palm Beach County businesses require a knowledge of their specialized needs. From cultural differences to language barriers, THEY improv can help you find the localized knowledge and national skill-sets needed to assist in the growth of your business.